Toy Story 3 opened… big… great reviews… and a big box office. What does that have to do with government? But did you know that the technology that spurred the creation of Pixar was funded in the 1960s by… anybody? … the Advanced Project Research Agency, the precursor to today’s Defense Advanced Research Projects Agency. Yes, one of the biggest users of the Pixar-like animation technologies is the Defense Department — for simulations and other purposes. The story is also one of remarkable innovation and learning to take risk. Wired magazine last month had a wonderful story headlined Animating a Blockbuster: How Pixar Built Toy Story 3. 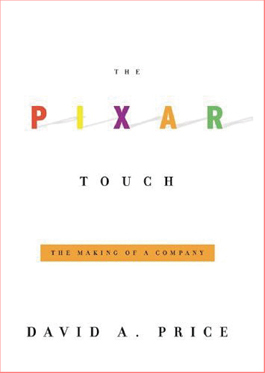 Pixar has been owned by George Lucas… and then by Steve Jobs… back when it was a software company. Yes, Pixar was originally seen as a software company… and evolved into a movie studio — and one of the most successful movie studios out there. Pixar was sold to Walt Disney in 2006 for $7.4 billion, the studio has seven consecutive blockbusters. The book also talks about the process of innovating — and taking risks. The book is a fun read — and interesting even if you didn’t grow up in California. And as you watch the box office of Toy Story, the government can relish in the role it played in innovation.